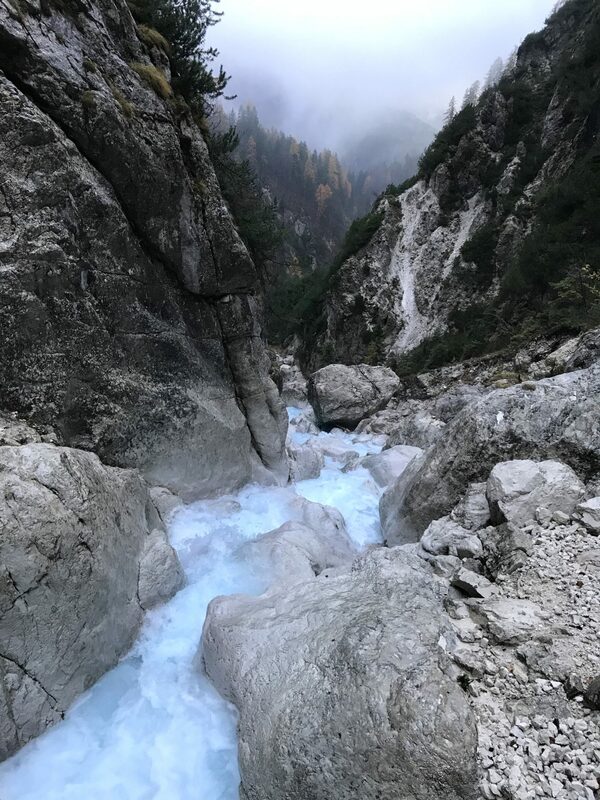 On a rainy Monday morning I drove up to the parking lot below the favored waterfalls at the beginning of Vrata Valley, a 10-kilometer Alpine valley stretching from Mojstrana to the very heart of the Julian Alps and Triglav National Park, Mt. 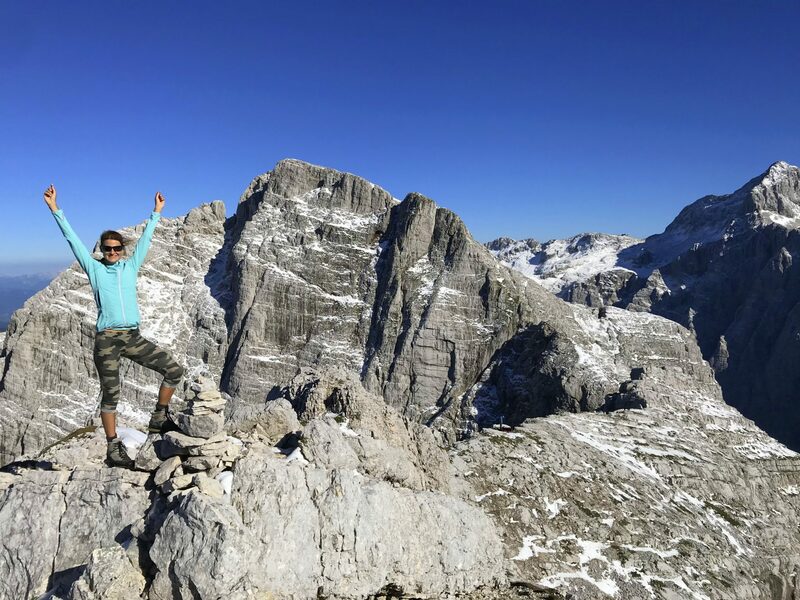 Triglav itself. 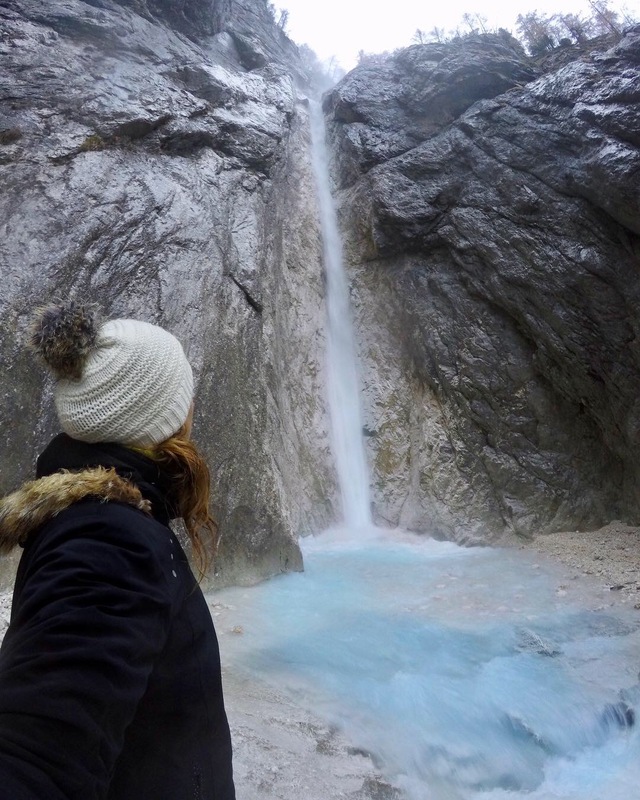 The slight rain must have warded off the usually eager pack of tourists since the parking lot was completely empty and I was the only visitor at the beautiful Peričnik Waterfalls. 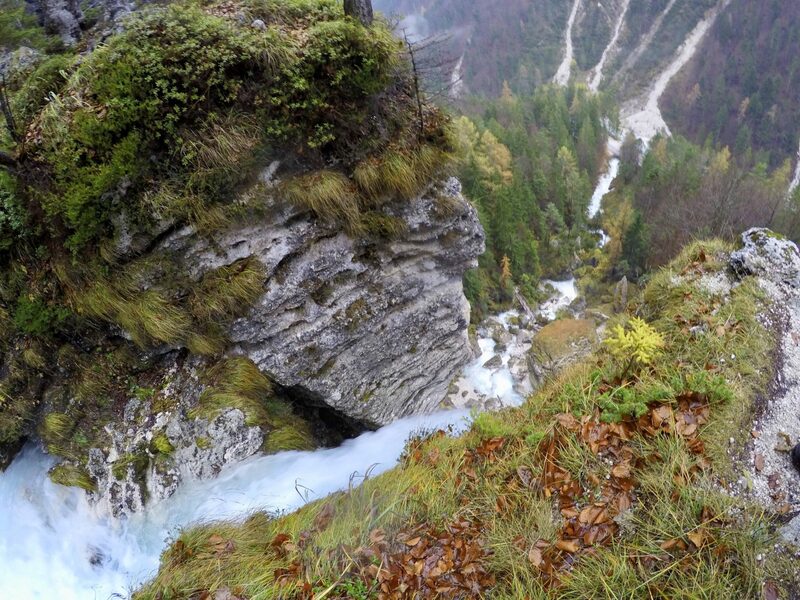 Highly unusual for what may be the best-known falls in Slovenia! 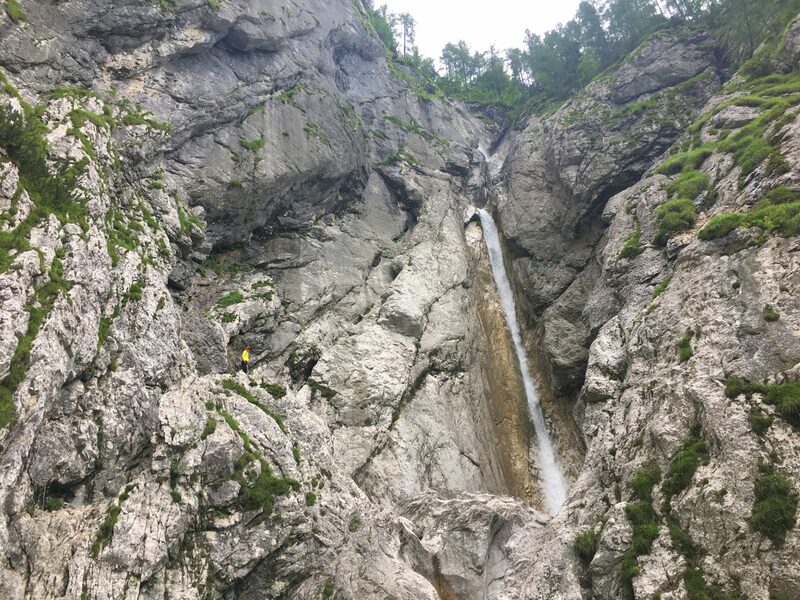 I hurried up a steep slope, first to the smaller 16-meter Upper Peričnik Fall, then to the 52-meter tall Lower Peričnik Fall, passed the stream underneath high cliffs behind the waterfall, and hiked down the slope on the other side of the falls. Altogether it’s an hour-long hike with lengthy photo stops included. 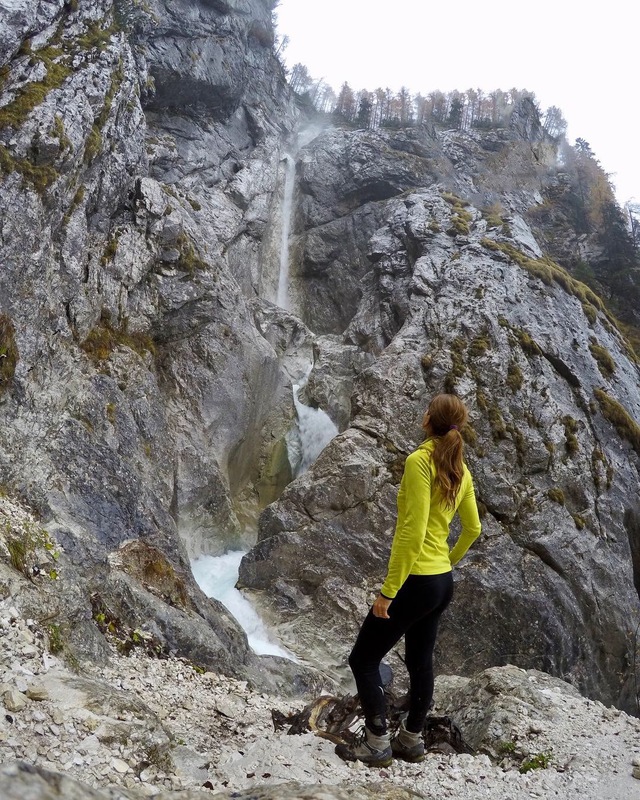 Located just 4 km from Kranjska Gora and 9 km from Mojstrana, the Martuljek Falls are among the tallest waterfalls in Slovenia. At 1,250 m, the Upper Fall cascades a hundred meters down, then a couple of hundred meters below the Lower Fall first drops 29 meters and then plunges down another 25 meters in interconnected smaller drops, while the wild-water stream gushes down the 350-meter long and 100-meter tall canyon before it finally reaches the valley. 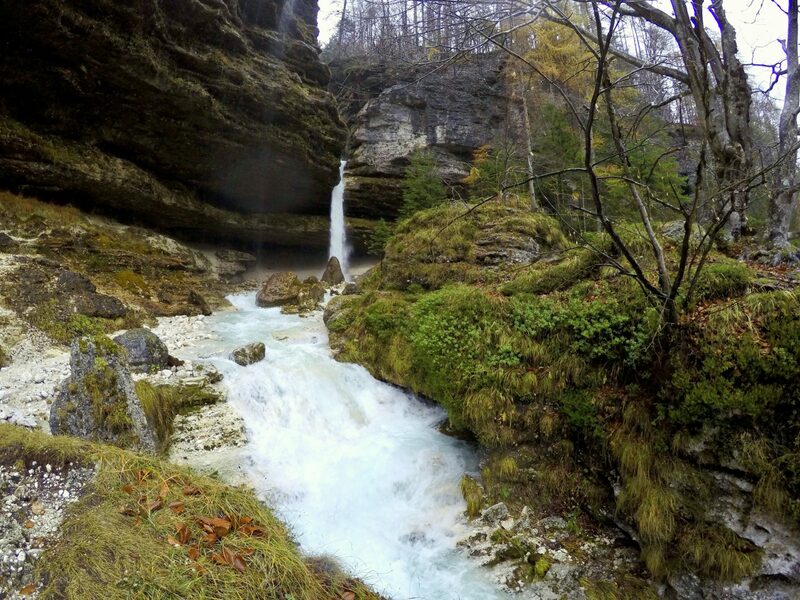 In spring, snowmelt increases the flow of the iconic Martuljek Waterfalls, located right in the heart of the Martuljek mountain group in Triglav National Park. 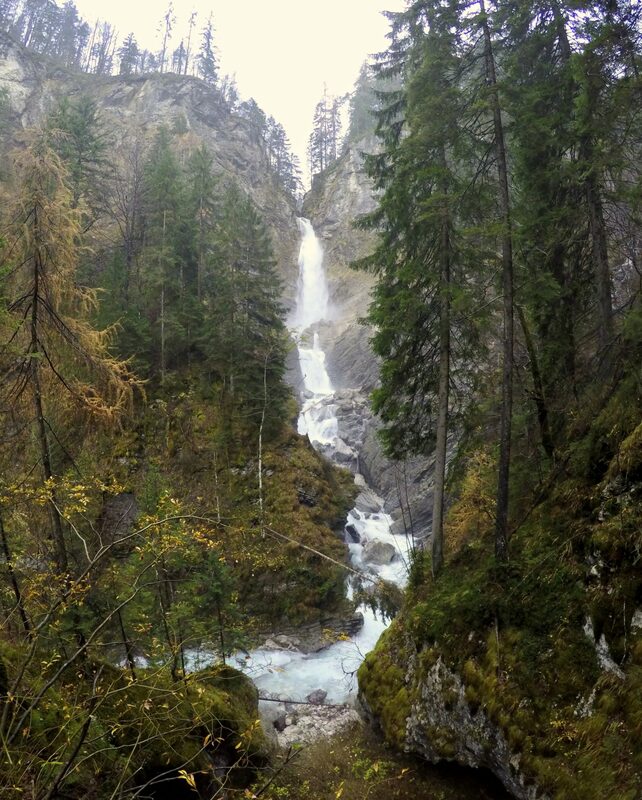 Yet in autumn, after long periods of rain, it seems as if the whole forest around the falls comes to life as well with all newly emerging small wild streams gushing down the mossy green slopes beneath the towering mountains. 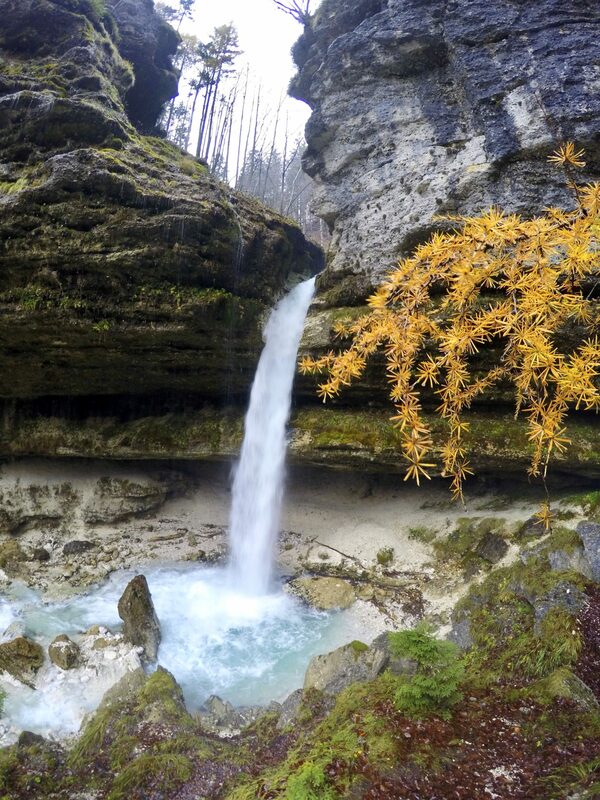 Over a hundred meters tall, the Upper Martuljek Fall plummets down in four cataracts, finally dropping into a beautiful light blue pool that naturally continues downwards through a labyrinth of drops carved into steep limestone. 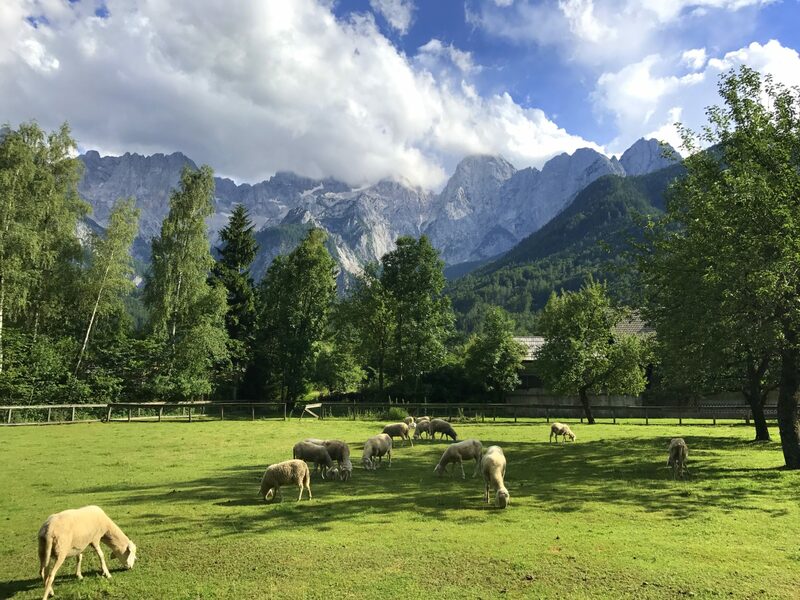 For rooms, apartments and holiday houses in Kranjska Gora, you might want to check ViaSlovenia and Jacob's Resort as they are both super competitive! Just beautiful. 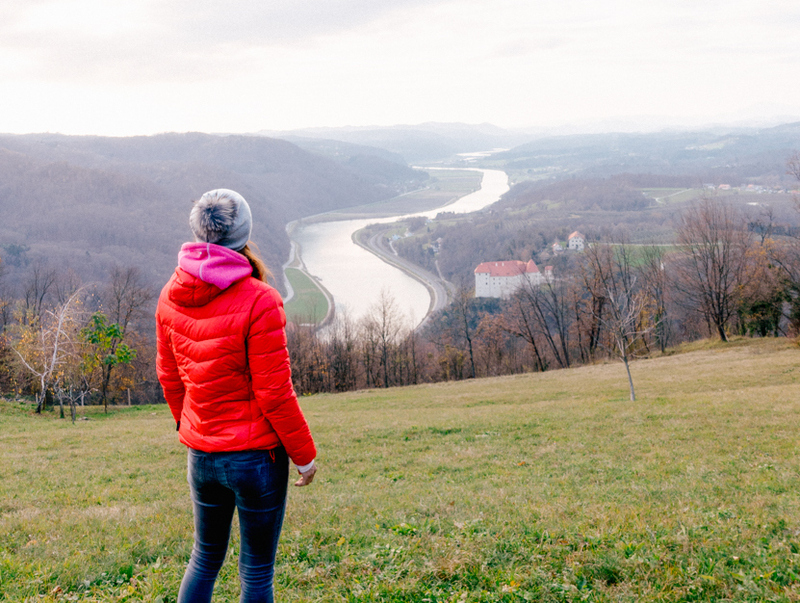 What a wonderful place ?